With a background political science focussing on international development and human rights, Theis is currently doing the Pat Cox Fellowship in Bruxelles working for the Romanian MEP Norica Nicolai. 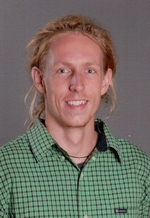 Theis has a wide range of professional experiences within the areas of teaching, community work, reconciliation, and international development, and he has on-the-ground experience from a semester in Monrovia, Liberia working on anti-corruption and research in Uganda for his master's thesis evaluating a health project in Karamoja. When dreaming Theis often finds himself sailing the warm and cold waters of this world, and currently a crossing of the Pacific or Atlantic would be high on the priority list.